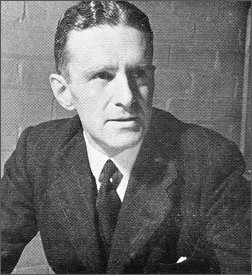 Norman Collins (1907-1982) had first worked at the Oxford University Press, before resigning and getting to work with Robert Lynd as a literary editor at the News Chronicle. The Lynds’ connection with the Week-end Review presumably got him his spot as a judge, although his prolific rate of publication – after some literary criticism, a stream of novels, would also have had him noticed. He worked for Gollancz, and, later in his career for the BBC, where he was controller of the Light Programme and head of BBC Television in the late forties. He became one of the prime movers in the establishment of independent television in 1955.